Cupid is most often regarded as the son of Venus and Mars, whose love affair represented an allegory of love and war. 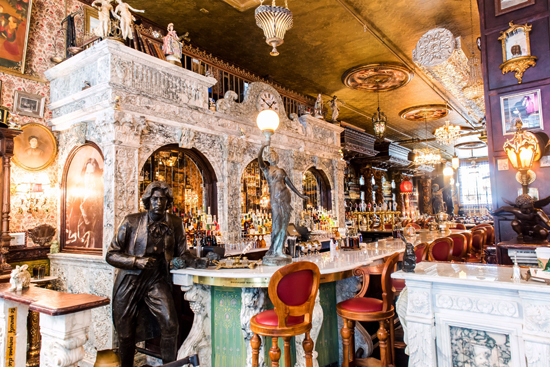 #5: Oscar Wilde Restaurant: Tucked away on West 27th Street is an eatery dedicated to this prescient, brilliant and often glib writer. It’s the perfect hot spot to celebrate the heart with your literary loved one. 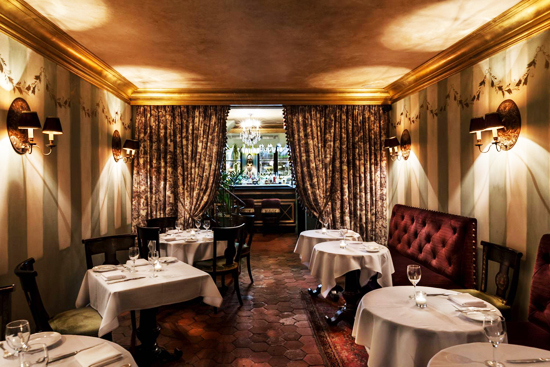 Tip: The 3-course prix-fixe menu is $50 and includes items like Lobster Bisque and Oxtail Ravioli. 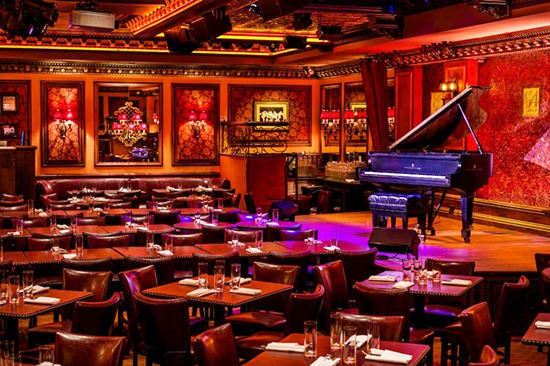 #4: JoJo: The staid and buttoned-up Upper East Side has been home to JoJo since 1991. This creation is brought to us by award-winning Chef Jean Georges Vongerichten and is the go-to-place for those who live in the hood. Cupid informed me that Jojo is the proprietors nickname from his youth. Tip: The holiday menu is $98 per person and includes Seared Diver Scallops and Roasted Wagyu Beef Tenderloin. Cupid likes the latter. 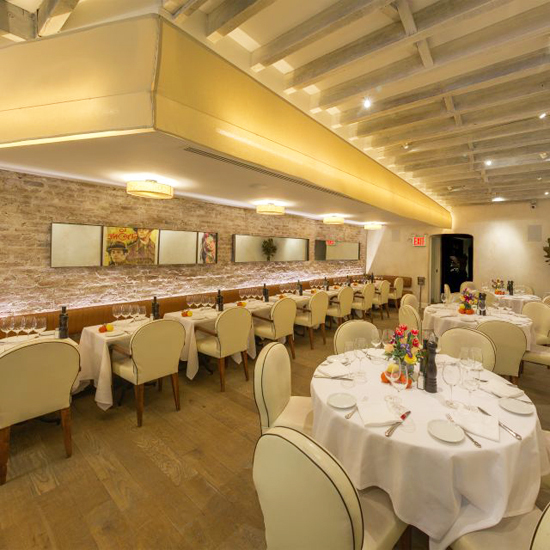 #3: MAMO: Head to Tribeca with your lover of Italian and French Provincial cuisine. The Valentine’s Day menu includes foie gras with apples and truffle as well as lobster ravioli and fresh herbs. For dessert, they offer a white chocolate cake with raspberries, almonds and marinated pineapple. You may also want to kick off the holiday with their Negroni Cocktail. Cupid got tipsy but his aim is still accurate. Tip: There is a prix-fixe menu but I suggest going a la carte with the Veal Milanese – the chop is succulent, mouth-watering and plenty for two to share. Tip: There are two seating’s, one at 7:00 (doors open at 5:00) and the other at 9:30 (doors open at 8:45). Make your reservations now. Food and drink is available at both performances. #1: One if by Land, Two if by Sea: Located in Greenwhich Village in a carriage house built in 1767 (I believe once owned by Aaron Burr), this awesome and infamous restaurant opened in 1973. 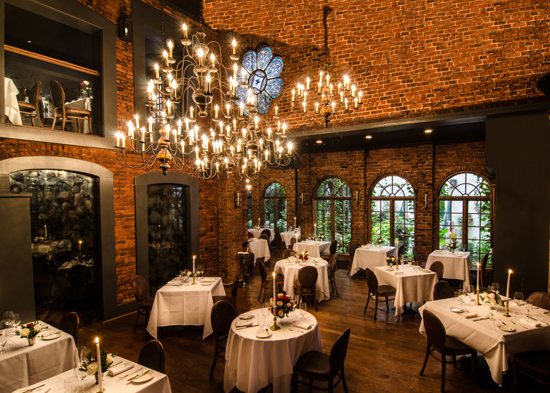 With chandeliers, fireplaces and live piano music, your evening will be romantically timeless and nothing short of epic. The cuisine under the leadership of Chef Gary Volkov is impeccable. Tip: Order the Beef Wellington. Read City Pulse every month for the latest in what’s happening in and around NYC.